Dharamsala: Well aware of the change in transition that will happen across formats in near future, India's limited-overs captain Mahendra Singh Dhoni on Saturday said he has started using Test skipper Virat Kohli's advice more often on the field. "I have already started using him (Kohli) more. If you witness a match you will see I have more interactions with him on the field because two individuals of course will conduct in different ways," Dhoni said on the eve of the five-match ODI series against New Zealand starting at Dharamsala on Sunday. His comments come in the wake of the increased clamour for Kohli's elevation to captaincy in all formats of the game after the 3-0 rout he led India to against New Zealand. Speaking of his own role in the side, Dhoni said it hasn't changed much but for the additional responsibility of mentoring the future generation of Indian cricket. "Role doesn't change when you are a senior member of the squad irrespective of whether you are captain or vice-captain. You have extra responsibility on you. You have to talk to the youngsters, you have to guide them," Dhoni said. "A lot of things have changed since I made my debut in 2004. The way cricket is played has changed. The kind of players that are coming in the Indian team are drastically different than what we were used to. My role is quite the same. You only evolve with time and that's what I am trying to do," the talismanic wicket-keeper batsman said. Asked exactly about that, Dhoni said it takes time for a player to fill in any cricketer's place in the side. "You have to look at consistent performers. Finishing is one of the most difficult things to do in cricket. A player can't be a finisher in just 6 months or one year. You have to be used to that responsibility, keeping on doing what is required from you over a period of time," he said. "I personally feel a finisher is somebody who bats at 5 or 6. It is very difficult to come and fill in that opportunity because there would be times when you don't even get an opportunity as the top-order does the bulk of the scoring. 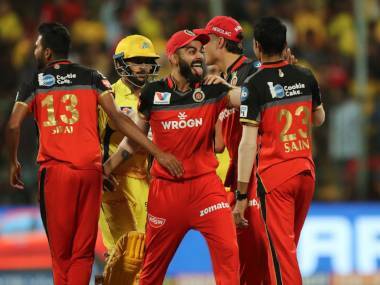 "As far as identifying individuals who can be a finisher is concerned, yes we have identified a few but I would like to keep the names to ourselves, the reason being not to put an undue pressure on any individual," Dhoni added. India have rested a few senior cricketers like Ravichandran Ashwin, Mohammed Shami and Ravindra Jadeja for the current ODI series against New Zealand keeping in mind the long season ahead. 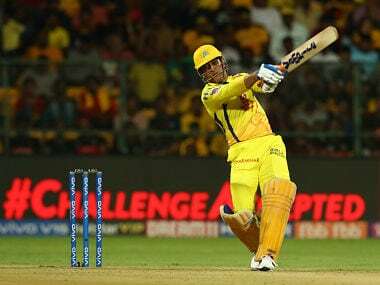 And Dhoni backed the national selectors' decision, saying it was necessary to keep the players fresh and also to test the team's bench strength. "At times you need to look at future schedules. We are playing 13 Test matches this season, after that IPL followed by Champions Trophy. As such there is no big break in the middle. So I think it's a good decision. At times you have look at the long-term things," he said. "We also get an opportunity to test other players and see the bench strength. We are just playing eight ODIs this season. So whatever plans we have we can check them in these matches." "I may bat slightly up the order now. This team will give me an opportunity to bat at the number that I am looking for. But still it will be quite low, not like a No 4 position," he said. "If you see (Jasprit) Bumrah, he has done really well for us. He has become like the banker especially when it comes to death bowling. In the similar way we will see what others have to offer. Umesh is getting a chance again to play at this level. He is someone who has developed his bowling especially in limited overs cricket. It will be a good chance for him to express himself. Dhawal (Kulkarni) is someone who has done consistently well in the domestic circuit," he said. "Unless you give them chance it would be very difficult to predict how good they will be at this level because I feel the difference between our domestic level and international level is quite big. So I feel it's a good exposure for them." The skipper also said that the pressure of expectations from the Indian public doesn't give him much leeway to chop and change the playing eleven. "India is all about winning. Let's be frank people and the media only wants Indian team to win. So at the end of the day it becomes difficult. If you rest Virat (Kohli) or Ajinkya (Rahane) then there will be questions what's really happening? "So when you get an opportunity you try to make the most of it. But there are a few slots we are definitely looking forward to and there a few individuals who we are really keen to see what they has to offer," Dhoni stressed. "Let's be fair about it, with the Indian team it's very difficult to give chances. We have to win games and also look at the process. We try our best to do both."